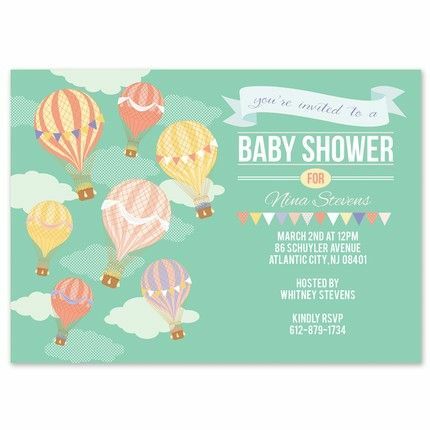 Multi-color hot air balloons are shown against a soft green backdrop of the sky on the left side of this fun invitation. On the right side, the words "You're invited to a baby shower for" are preprinted at the top in a fun design. Add your personalized text below this to complete the look.